THE MOST COMMON THERAPEUTIC PROCEDURE PERFORMED BY DOCTORS OF CHIROPRACTIC IS KNOWN AS “SPINAL MANIPULATION,” ALSO CALLED “CHIROPRACTIC ADJUSTMENT.” THE PURPOSE OF MANIPULATION IS TO RESTORE JOINT MOBILITY BY MANUALLY APPLYING A CONTROLLED FORCE INTO JOINTS THAT HAVE BECOME HYPOMOBILE – OR RESTRICTED IN THEIR MOVEMENT – AS A RESULT OF A TISSUE INJURY. TISSUE INJURY CAN BE CAUSED BY A SINGLE TRAUMATIC EVENT, SUCH AS IMPROPER LIFTING OF A HEAVY OBJECT, OR THROUGH REPETITIVE STRESSES, SUCH AS SITTING IN AN AWKWARD POSITION WITH POOR SPINAL POSTURE FOR AN EXTENDED PERIOD OF TIME. IN EITHER CASE, INJURED TISSUES UNDERGO PHYSICAL AND CHEMICAL CHANGES THAT CAN CAUSE INFLAMMATION, PAIN, AND DIMINISHED FUNCTION FOR THE PATIENT. MANIPULATION, OR ADJUSTMENT OF THE AFFECTED JOINT AND TISSUES, RESTORES MOBILITY, THEREBY ALLEVIATING PAIN AND MUSCLE TIGHTNESS, AND ALLOWING TISSUES TO HEAL. to complement and enhance the healing effect of your chiropractic care, dr. Kruse will begin you on a form of therapeutic rehabilitative exercise. Active exercise, performed either against resistance (using elastic tubing, hand weights, machines, etc) or without resistance, is a very important aspect of recovery following an injury either from trauma or repetitive strain. Exercises help rebuild strength and condition muscles and soft tissues which have been weakened due to a new or long standing condition. It also aids in neuromuscular re-education of movement patterns which have been disrupted due to deconditioning and lack of use. In our office our patients have the opportunity to rebuild strength slowly to avoid re-injury. Kruse Chiropactic also offers passive physiotherapy modalities such as mechanical traction, cryotherapy, ELECTRICAL STIMULATION and moist heat. many patients come to see dr. Kruse to address a specific pain symptom such as back pain, neck pain or headaches. while she will address each patient's specific condition with chiropractic care, she often finds it helpful to "coach" her patients towards achieving a healthier lifestyle. for example, there may be certain activities that you should avoid or do differently to prevent yourself from unintentionally aggravating your particular health challenges. the goal of including lifestyle advice with a chiropractic care plan is to help each and every patient achieve the fulfilling and happy lifestyle they deserve, one that is full of the activities that are enjoyed most. we recognize that every single one of our patients is a whole person, and we use our expertise to help them reach total health and wellness. MASSAGE THERAPY IS MANUAL MANIPULATION OF SOFT BODY TISSUES (MUSCLE, CONNECTIVE TISSUE, TENDONS AND LIGAMENTS) TO ENHANCE A PERSON’S HEALTH AND WELL-BEING. OUR CHIROPRACTIC OFFICE PROVIDES SPECIFIC MASSAGE AND MUSCULAR THERAPY THAT IS COMPLIMENTARY TO THEIR CHIROPRACTIC CARE. 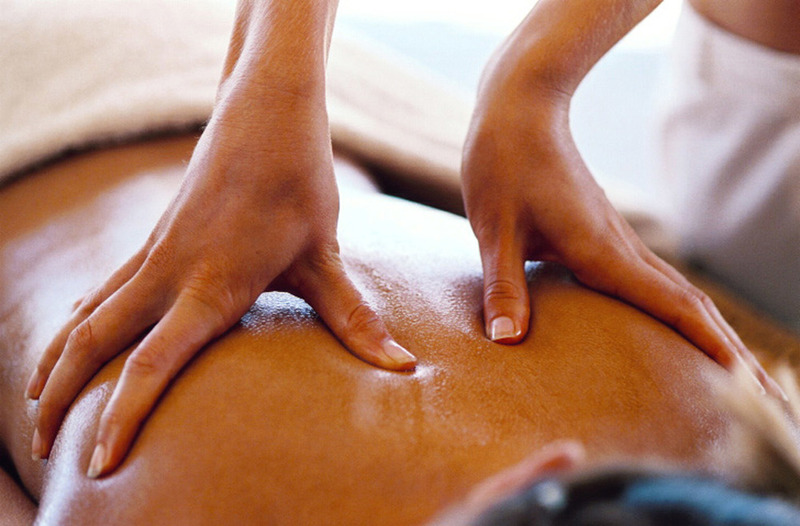 EACH MASSAGE THERAPY PLAN IS TAILORED TO MEET THE PATIENT'S UNIQUE PAIN CONDITION OR INJURY. THE BENEFITS OF MASSAGE THERAPY MAY INCLUDE THE INCREASE OF BLOOD CIRCULATION, A LOCALIZED REDUCTION IN SWELLING AND THE RELAXATION OF MUSCLES. MASSAGE THERAPY IS PERFORMED BY Ginger Ruhmann, LMT AND CAN BE PROVIDED during a scheduled APPOINTMENT. Acupuncture involves stimulating points on the body with thin metallic needles that are inserted into the skin and then manipulated by hand. It is purported to work by regulating the flow of the vital energy of the body, or its “qi.”, so that the body can heal itself. Acupuncture is recommended by dr. Kruse in the treatment of chronic pain, back pain, neck and joint pain, chronic headaches, fertility, sinus problems and allergies.